compared to those we have profiled over the last few weeks. Let’s take a look at them, their origins and where they are spoken. Known as Aragonés or simply fabla, meaning ‘talk’ or ‘speech’, by native speakers, Aragonese originated in the Middle Ages as a Latin dialect. Like many other dialects, its use receded due to dynastic changes, most notably when Ferdinand I, who was of Castilian origin, came to the throne of Aragon in the fifteenth century. With the union of the kingdoms of Aragon and Castile in the sixteenth century, it was relegated to rural and colloquial use. Though suppressed during the Franco years, the language is still spoken in the Aragonese mountain ranges of the Pyrenees and has been recognised as a ‘native language, original and historic’ since 2009. 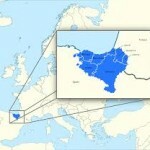 Also developing from the break-up of Latin, Asturian is indigenous to the Principality of Asturias in North-West Spain. It is not an official language, but is protected under the region’s Statute of Autonomy. Its status is deemed critical as its speakers have declined sharply in the last century. However, steps were taken by the Academy of the Asturian Language to preserve it, and the indications are that those speaking or understanding it have risen in the last couple of decades, so it may yet survive. Its close relative, Leonese, was formerly a distinct dialect spoken in the provinces of León and Zamora. The two are now usually considered to be a single language, Astur-Leonese. Our intensive Spanish lessons are ideal for anyone wanting to learn the language quickly and can be provided by a dedicated tutor at your home or workplace in London. its close relative, Catalan, and standard Castilian Spanish. Like Spanish and its other dialects, Aranese is a Romance language. 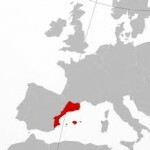 It is a sub-dialect of Occitan, which is spoken in Southern France, Monaco and parts of Italy, but the influence of Spanish and Catalan mean that it has become quite distinct from its neighbours. Aranese (Aranés) was once considered an endangered language; its speakers had dwindled to the older people of the region but since 1984 it has been taught in schools bilingually alongside Castilian, which has contributed to something of a resurgence in the language. A linguistic census in 2008 estimated that around 78% of the population of Val d’Aran could understand Aranese, 57% could speak it, though only 35% could write it. Aranese differs in some spellings from standard Spanish, for example the capital of the Val d’Aran is Vielha e Mijaran rather than the Spanish spelling of Viella. If you are travelling in the region, you may notice these sorts of differences on road signs and maps, which use the local dialect as their official language. It can seem daunting to think of so many different dialects being spoken across Spain, but it’s no more necessary to learn them all than it is, say, to adopt local vernacular as you travel around the UK. Students attending our Spanish lessons in London will receive a thorough grounding in Castilian, which is official across the whole country and will be spoken and understood wherever you go. In the latest of our series of blogs on regional Spanish dialects, we take a look at the origins and present-day use of Catalan. Like other Spanish dialects, Catalan evolved from Vulgar Latin in the 9th century. It enjoyed its golden age during the Middle Ages as the language of the then-powerful Crown of Aragon; this, coupled with its dominance as the language of literature meant that Catalan was widely spoken all around the Mediterranean. Since that time, it has endured fluctuating fortunes; it began to go into decline following the union of Aragon with other Spanish territories in the 15th century and suffered further after Northern Catalonia was ceded to France in 1659. It was banned by both France and Spain in the early 18th century but a century later underwent a literary revival, which eventually led to its regaining official status. This was relatively short-lived as, like several other dialects, it was once again banned under the Franco regime, but it survived and is now co-official in Catalonia and the Balearics. It’s also an official language of the Valencian Community, where it is called Valencian rather than Catalan, and is spoken, though not officially recognised, in other autonomous communities. Today Catalan is one of the more widely-spoken dialects, with about 9% of the population claiming it as their mother tongue. 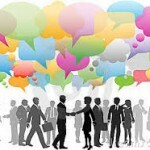 Although our Spanish lessons in London are based on the standardised form of the language, there is no need to be apprehensive about conversing with people from areas where regional dialects are common; they are in the main mutually intelligible, but differing in certain pronunciation and vocabulary just as different regions of the UK do. ‘language isolate’, that is a language with no demonstrable relationship with another language. Known in Spanish as el vasco, la lengua vasca or el euskera, it is spoken by some of the indigenous people of the Basque country, which covers Northeast Spain and Southwest France. Basque has several sub-dialects not all of which are mutually intelligible, so a standardised form, called Euskara Batua, was introduced in the late 1960s by the Basque Language Academy for use in education and other formal settings to make it possible for all Basque speakers to understand one another. 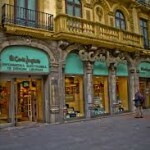 Basque, like other dialects, was suppressed during the Franco years but during the 1980s steps were taken to strengthen the language and it is now spoken by some 700,000 people (around 27% of the population) in the Basque regions. The origins of Basque are uncertain, but its use can be traced back many centuries. We know that it dates back at least as far as 1349, when a law was passed making the use of Basque, Arabic and Hebrew punishable by a fine of 30 sols. However, it is likely to have its origins much earlier, developing before the arrival of the Romance languages spoken in the surrounding areas, and possibly even as far back as the Stone Age. While it is interesting to know some of the history of minority languages like Basque, it is the standard Castellano which you will need to communicate in Spain and Latin America. 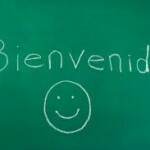 Our intensive Spanish lessons are an excellent choice if you wish to learn Spanish quickly. is associated with romantic love. This is also true in Spain, but it’s not just lovers who celebrate and give tokens of their affection on 14th February. The feast day of Saint Valentine, San Valentin, is called El Día del Amor y la Amistad in Spanish – the day of love and friendship. Just as in the UK, tokens of affection such as cards, flowers, chocolates and other gifts are exchanged, but these are not simply amorous gestures; they also extend to celebrate the spirit of love between friends. 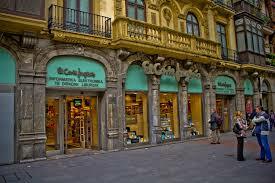 Just as many people in the UK bemoan the commercialised nature of St Valentine’s Day, so in Spain a similar school of thought exists and those who like to poke fun at the ‘celebrations’ refer to it as El Día de El Corte Inglés, the Day of Corte Inglés – Spain’s largest department store. Non-cynics, however, celebrate unreservedly, donning traditional costumes, enjoying candlelit dinners with partners or other outings with friends, dancing and exchanging their love-themed gifts. St Valentine’s Day celebrations in Spain are well worth experiencing at least once, but if you’ve missed 14th February, you may not have missed out altogether for this year. Some regions have their own special celebrations: in Catalonia love is celebrated on St George’s Day where it is called El Día de la Rosa (The Day of the Rose) or El Día del Libro (The Day of the Book), and in Valencia the most romantic day is 9th October, the feast day of Saint Dionysius, the local patron saint of lovers. 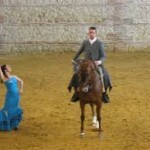 If you are preparing for a trip or a move to Spain and need a Spanish teacher in London, get in touch. This week we focus on a dialect widely spoken in the Southern part of Spain, Andalusian, or as it’s called in Spanish, Andaluz. It is spoken in Andalusia and Gibraltar as well as the Spanish territories of Ceuta and Melilla on the north coast of Africa. The Andalusian dialect is, in fact, the second most widely spoken dialect in the country behind Castilian. It has some differences in pronunciation from standard Castilian, although it is readily recognisable as the same language. Notable differences are widespread pronunciation of ‘s’, ‘z’ and soft ‘c’ sounds like the English ‘s’ rather than the ‘th’ sound of standard Spanish, and use of ustedes rather than vosotros for the second person plural. Regular readers of our blog may notice that these differences are also present in the Spanish spoken in Latin American countries, and that is because these former Spanish colonies were largely populated from Andalusian emigrants and so their dialects share many of the same fundamental characteristics. Our Spanish lessons in London teach standard Castilian, but with a good grounding in this dialect, you should quickly adjust to Andalusian and other local variations as you travel to other regions of Spain and Spanish-speaking countries around the world. Last week we mentioned some of the regional dialects which exist in Spain today. The region of Galicia in the northwest of Spain is one region where a distinct local dialect is spoken as a first language by around 56% of the population. 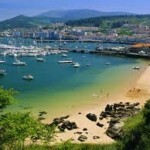 This area includes the cities of La Coruña, Vigo and the capital Santiago de Compostela. During the Franco regime, it was forbidden to speak Galician in public, but the language was not to be suppressed and it has enjoyed official status in the region, alongside Castilian, since 1978. As well as a language of its own, Galicia also has a number of cultural differences from the rest of Spain, which are often thought to be Celtic in origin. For example, at a Galician festival you can hear bagpipes (galleta galleo) and see pipers dressed in costumes very similar to those seen in Britain’s Celtic strongholds. There is even genetic evidence to suggest that the parts of Britain’s Celtic population actually came from Spain, although sceptics maintain that Galicia owes its culture and language to the fact that the area never succumbed to the Moorish invasions which so influenced the rest of the country. Galicia borders Portugal and its language is closely related to Portuguese. The two languages remain mutually intelligible today, though Galician adheres to standard Spanish spelling conventions, a subject you can learn all about when you enrol in our intensive Spanish lessons in London. Is there a difference between Spanish and Castellano? You may have heard reference to Castellano, or Castilian, Spanish. This is something which often causes confusion amongst students and prospective students of the language. Is there a difference? 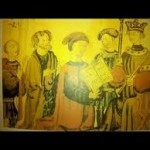 Spanish, as you may already know, has several variants which grew up out of the Latin language around 2,000 years ago. Today, some of these dialects, like Andalusian, Catalan, Galician and Basque (or Euskara) still survive and are official languages in the autonomous regions in which they are spoken. Castilian or Castellano, however, is the official form of the language as standardised in the 13th century by King Alfonso and regulated by the Royal Spanish Academy to this day. It is known as Castilian because it originated in the north-central region of Spain which includes Castile, but after it became the official language of government, it spread throughout the country and indeed to Latin American Spanish-speaking countries too. Nowadays, Castellano and Español are effectively interchangeable terms. 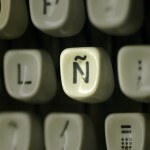 The name Castellano is generally used only to differentiate the ‘pure’ Spanish from these other dialects which are, after all, still undeniably Spanish. The Spanish Constitution of 1978 enshrines Castellano as the official language of the state, and so whether somebody refers to it as Spanish or Castilian is often simply a matter of personal, regional or political preference. As a learner, all you need to know is that Castellano is the ‘mainstream’ form of the language which has the highest number of speakers around the globe and which we teach in all of our Spanish language courses. 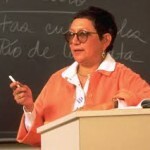 So there’s no need to feel daunted or imagine you need to master different versions of the language as Castellano is spoken and understood right across the Spanish-speaking world.